South Carolina beaches are some of the most sought after by many. Wedding couples flock here for amazing beach weddings. The next steps for many wedding couples is to get on the computer and on the web searching for Hilton Head beach wedding prices. ..#1 tip is to contact the Town of Hilton Head to get a permit to have a beach wedding. Next, it is about who are your wedding vendors going to be. They also need a state of South Carolina License and The Town of Hilton Head business license. ..#2 tip is where to have it and what venues or hotel will host your beach wedding in Hilton Head. It varies from The Westin Hilton Head Island Resort & Spa, Palmetto Dunes, Sonesta Hilton Head Island, The Omni, Hilton Head Marriott Resort & Spa. These exclusive resorts and hotels all have a unique style to them. 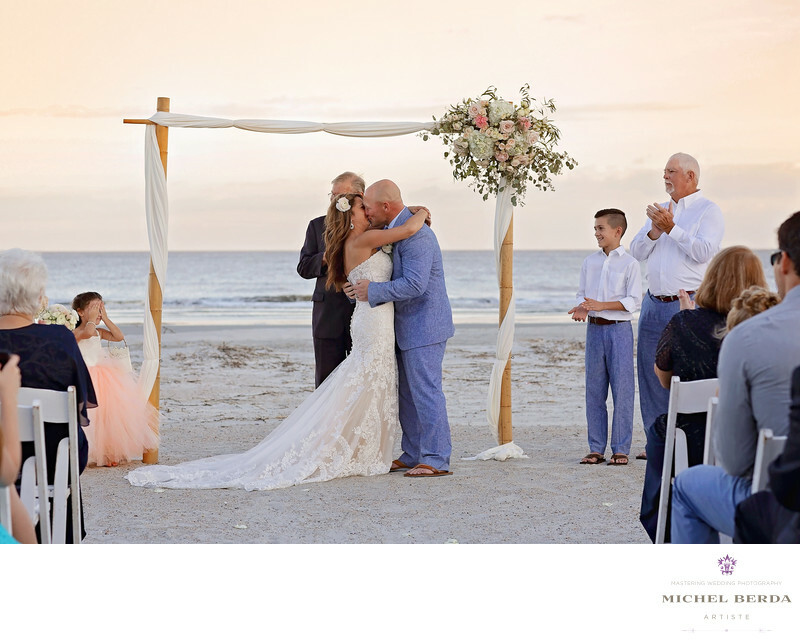 To design and plan a beach wedding here is Hilton Head Island, SC in any of them are endless...My studio is here in Charleston, South Carolina. Many of my clients are looking and searching for that wedding photographer that is not only very artistic, with 3 decades of experience, but more importantly a lighting master in photography. After all having the amazing wedding photos requires the science in capturing those perfect wedding images, including timeless sunset wedding photos, by setting your camera and lighting properly which can make a huge difference on who will have this great honor to capture your magical day.Keywords: Charleston (1179), hilton head beach weddings (3), hilton head island beach wedding photographer (3), HILTON HEAD ISLAND WEDDING PHOTOGRAPHER (18), Michel Berda (1140), photographer (1125), Wedding Photographer (1254), wedding photographer hilton head beaches (3).